Senate Finance Chairman Orrin Hatch, R-Utah, plans to resubmit legislation to stop DOL from writing fiduciary rules for IRAs. 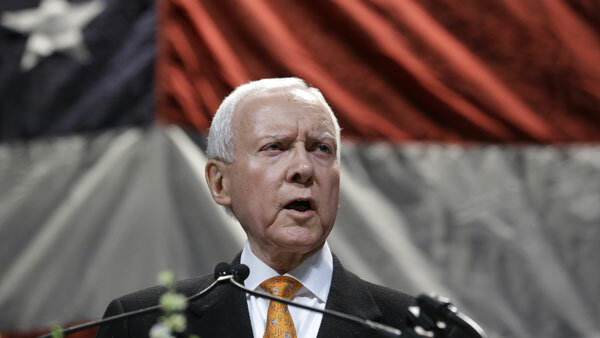 Senate Finance Committee Chairman Orrin Hatch, R-Utah, said late Tuesday that he will reintroduce his Secure Annuities for Employee (SAFE) Retirement Act this year. The act, a package of public and private retirement plan reforms, includes language that stops the Department of Labor from writing fiduciary rules for individual retirement accounts, just as Jason Furman, chairman of President Barack Obama’s Council of Economic Advisers, has maintained that it’s “high time” for DOL to update the 40-year-old Employee Retirement Income Security Act. Both Hatch and Furman spoke on Capitol Hill at an event on retirement security held by the Bipartisan Policy Center. Furman stated that DOL’s fiduciary redraft, the Conflict of Interest Rule for Retirement Savings, is one of four areas the administration is focusing on regarding retirement savings policy. DOL’s fiduciary redraft is out for a 75-day comment period. An audience member at the BPC event representing the American Council of Life Insurers stated that the DOL redraft, in its current form, is not workable, noting that the ACLI worries the redraft will “shut out” the ability to provide information on annuities and lifetime-income products to individuals. Furman responded that unlike the 2010 fiduciary redraft, the new proposal “carves out and allows you [the advisor] to provide education. We have a broad exemption” around providing education.